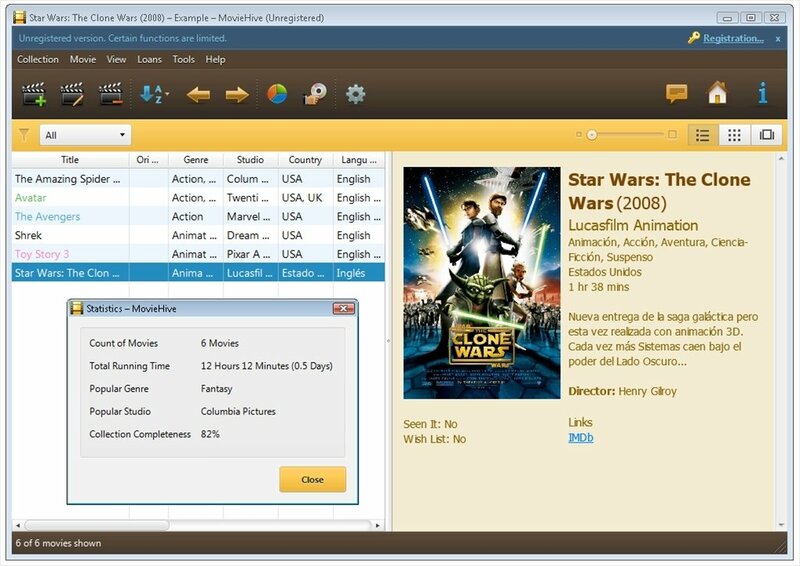 Organize your movie collection with MovieHive, a cataloger that can download from the Internet all information about your videos. 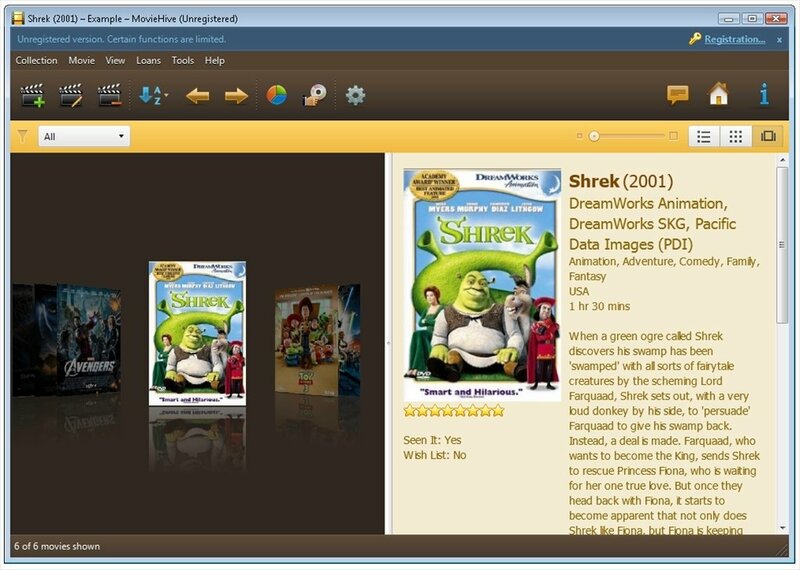 Use this program to compile your movies, DVD, Blu-ray, CDs, VHS tapes or any other supported format. 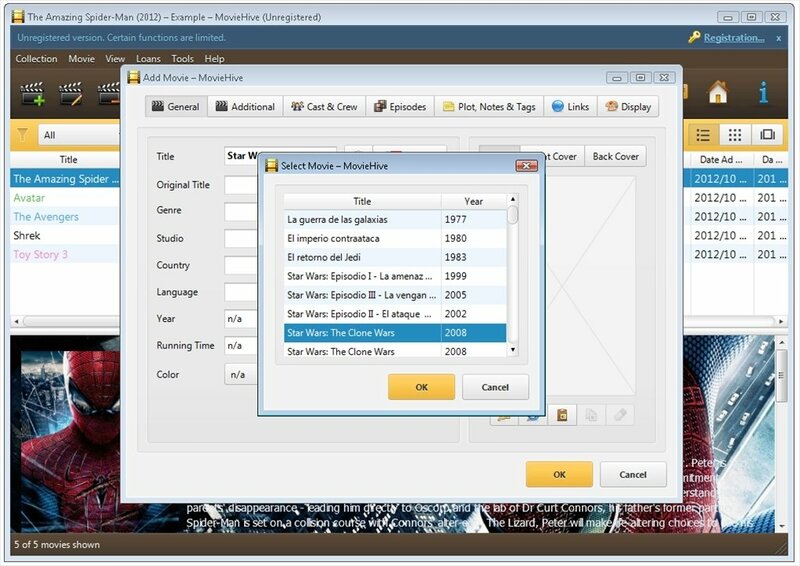 Organize your movie collection with all its data. 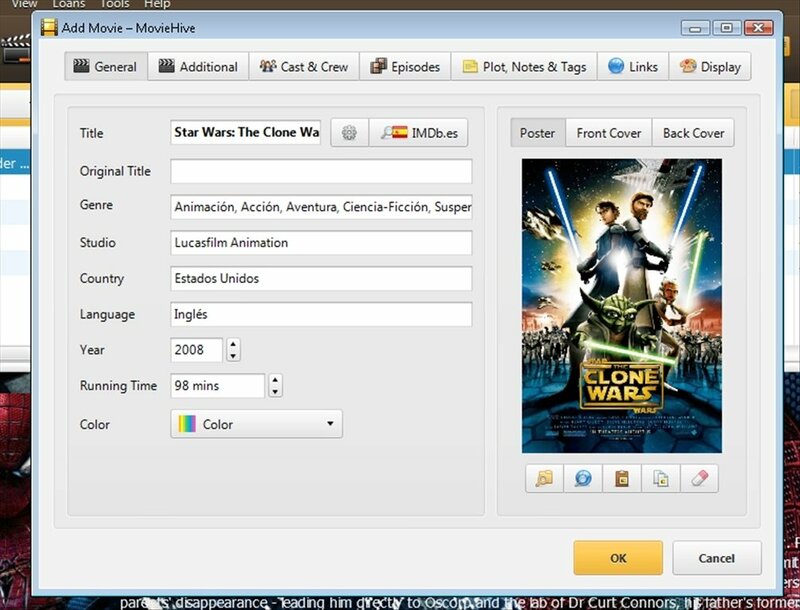 Find any film instantly thanks to the use of search filters. Choose how to display your collection depending on various parameters. 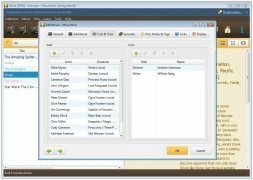 Includes support for queries related to television series: fills in each season and episode automatically. 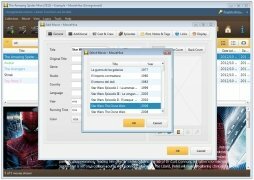 Import and export data using TXT files. 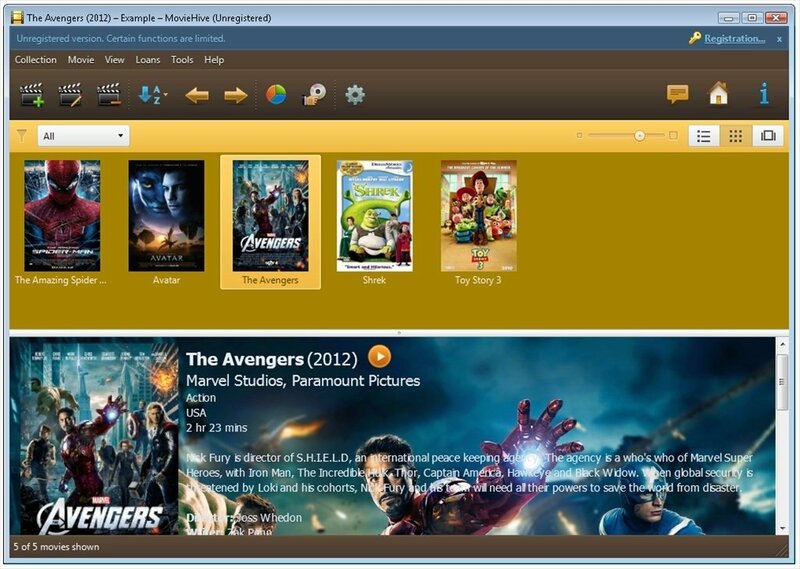 For your utmost convenience, MovieHive adapts to your tastes allowing you to configure the appearance of the interface. Decide which visual elements you want, such as cover art, the size of fonts, the colors used, the background images and more. 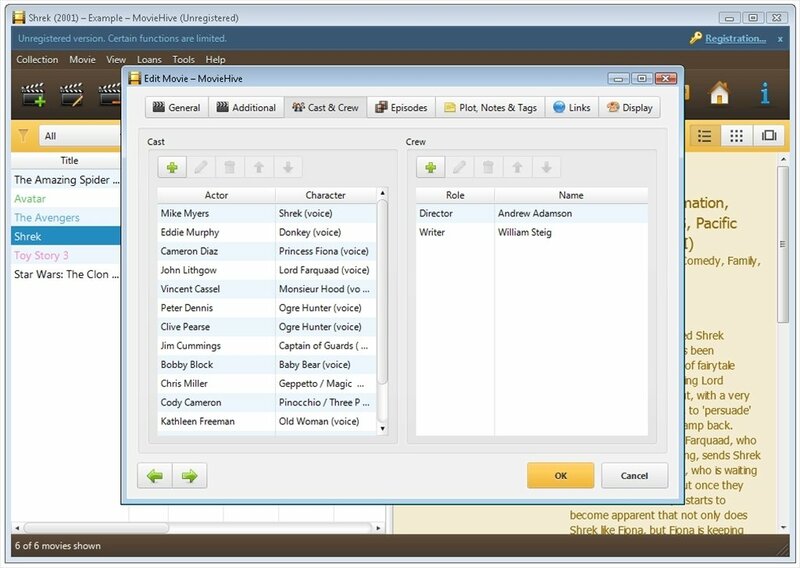 Structurize and organize your video collection with a cataloger such as MovieHive.